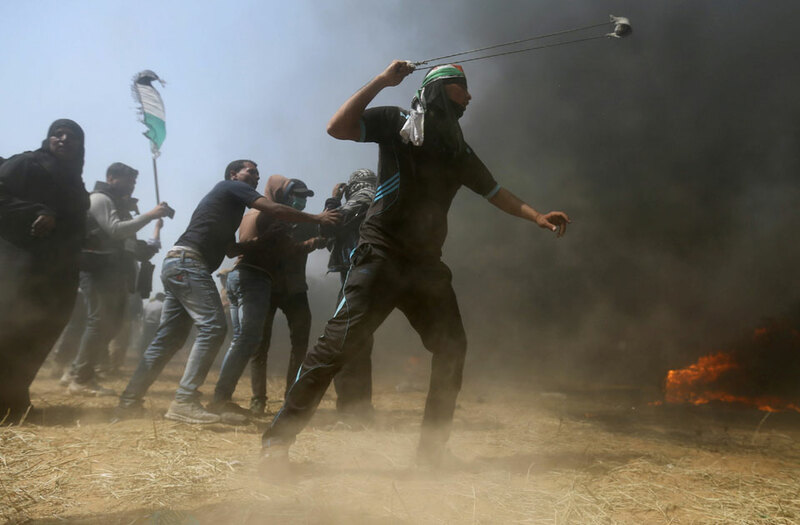 Palestinian demonstrators gesture as they remove part of the Israeli barbed wire during clashes with Israeli troops at a protest demanding the right to return to their homeland, at the Israel-Gaza border, east of Gaza City, April 13, 2018.
the southern Israeli kibbutz of Nahal Oz across the border with the Gaza Strip shows Israeli soldiers keeping position along the border fence. 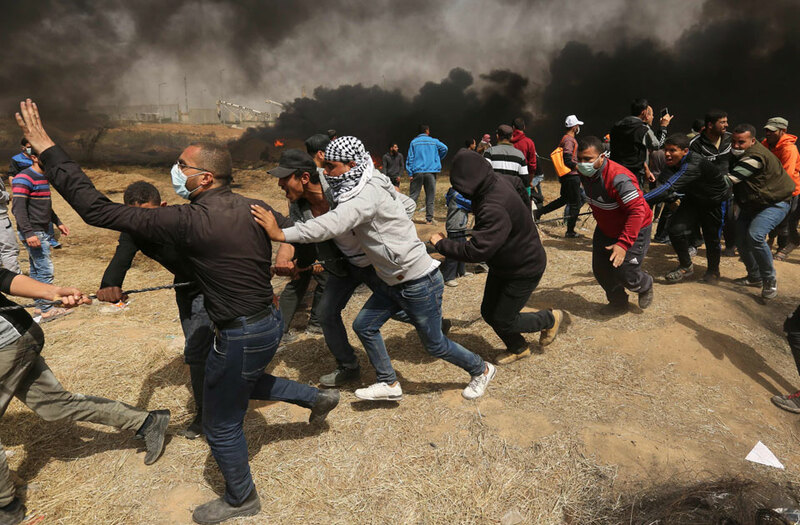 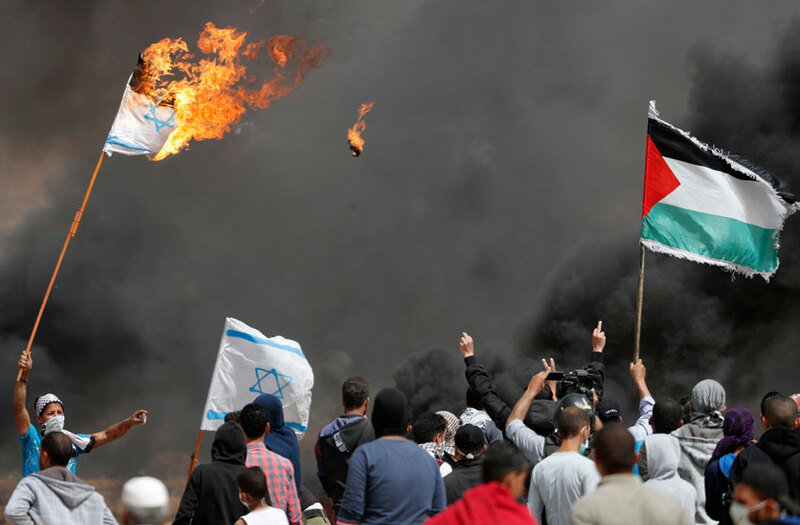 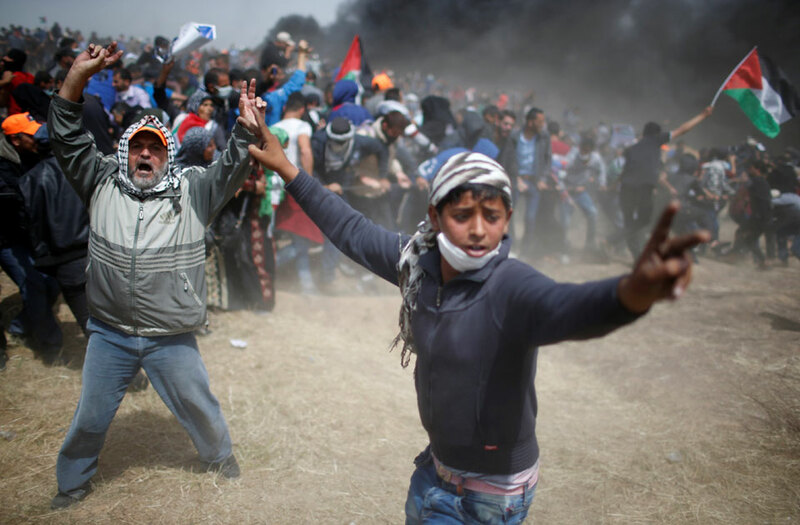 Several thousand Gazans gathered for a third consecutive Friday of mass protests along the border with Israel after violence in which Israeli forces have killed 33 Palestinians and wounded hundreds of others. 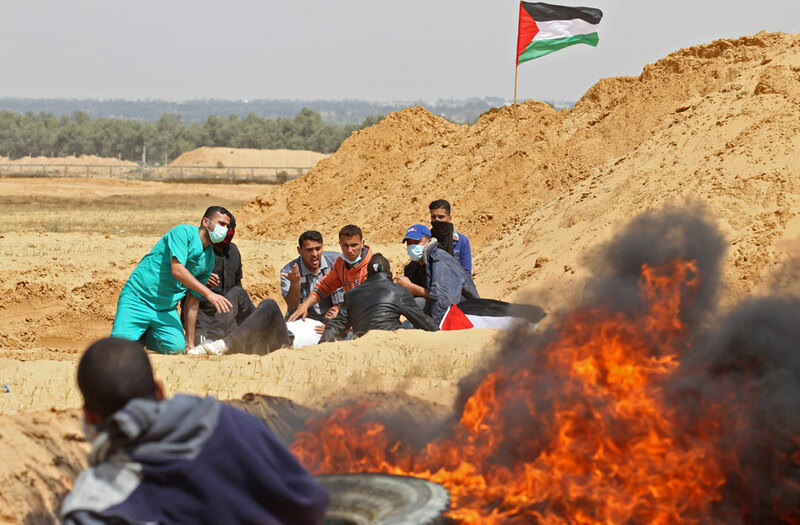 Palestinians medics tend to an injured protestor near the border fence with Israel, in Rafah in the southern Gadza city, on April 13, 2d018. 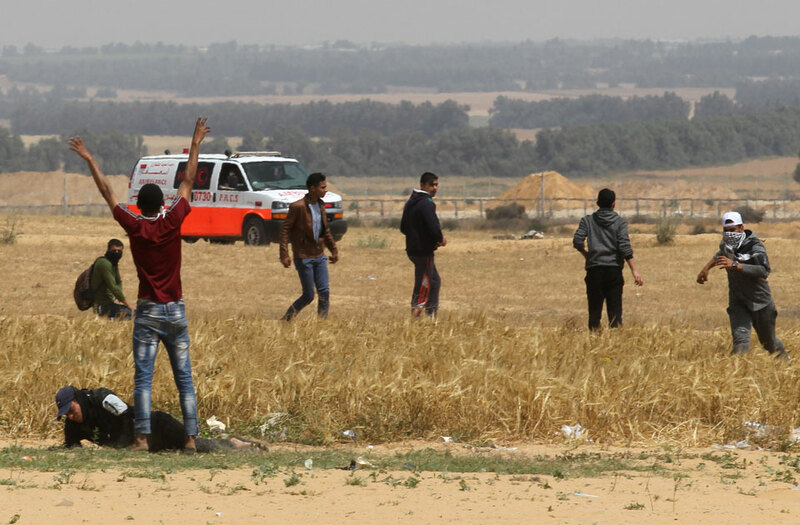 Palestinians medics arrive to help an injured protestor near the border fence with Israel, in Rafah in the southern Gadza city, on April 13, 2d018. 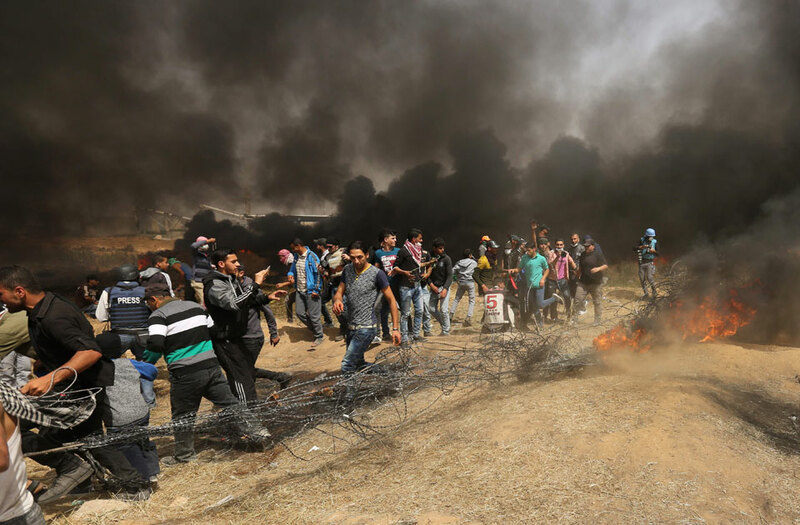 Palestinian protestors pull a metal cable as they try to take down a section of barbed wire at the border fence with Israel, east of Gaza City in the central Gaza Strip, on April 13, 2018. 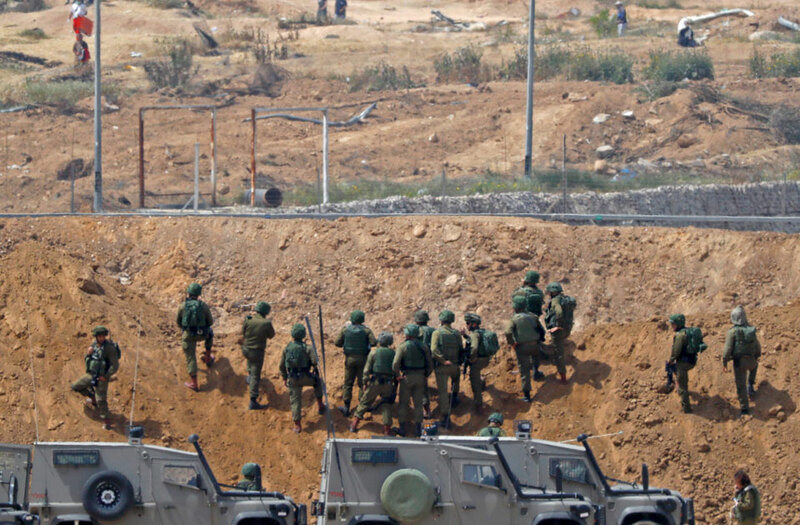 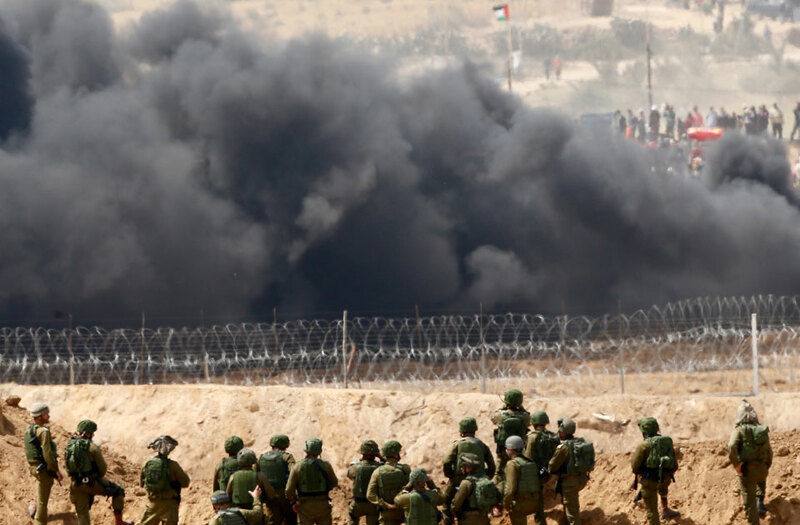 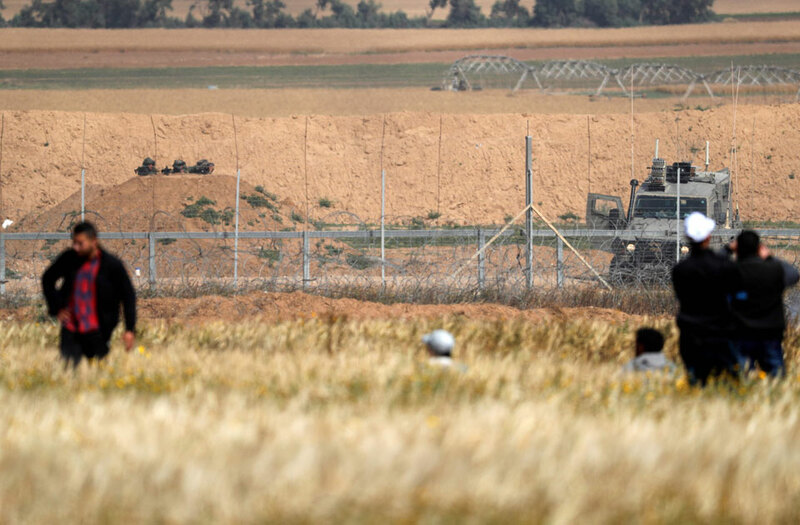 Palestinian protestors face Israeli soldiers near the border fence with Israel, east of Khan Yunis in the southern Gaza city, on April 13, 2018. 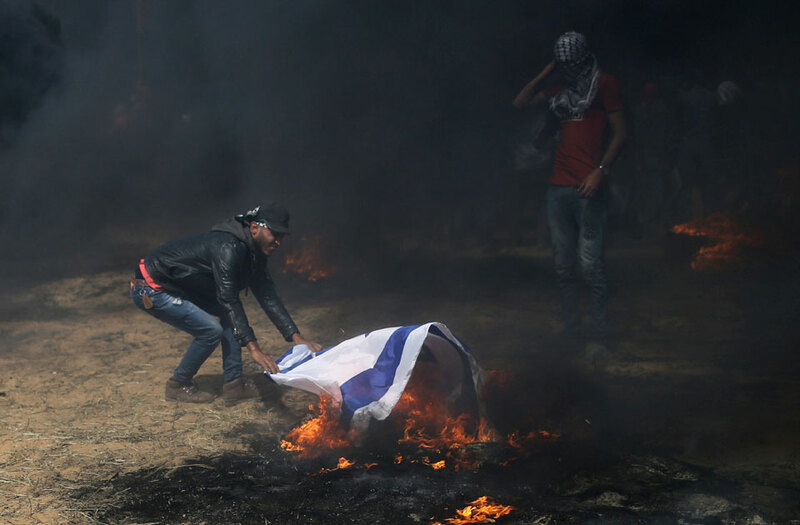 A demonstrator burns an Israeli flag during clashes with Israeli troops at a protest where Palestinians demand the right to return to their homeland, at the Israel-Gaza border, in the southern Gaza Strip, April 13, 2018. 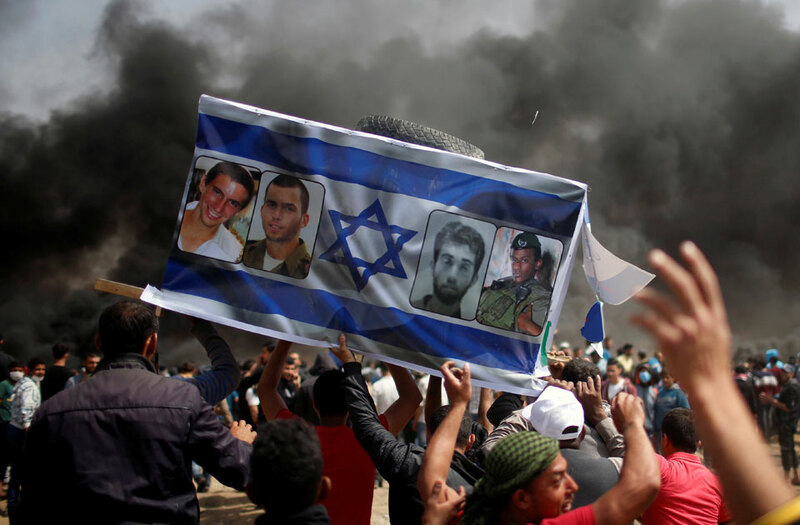 Palestinian demonstrators carry a coffin wrapped in a representation of an Israeli flag during a protest demanding the right to return to their homeland, at the Israel-Gaza border, east of Gaza City, April 13, 2018.